Mission: ACRE (Artists’ Cooperative Residency and Exhibitions) is a volunteer-run non-profit based in Chicago devoted to employing various systems of support for emerging artists and to creating a generative community of cultural producers. ACRE investigates and institutes models designed to help artists develop, present, and discuss their practices by providing forums for idea exchange, interdisciplinary collaboration, and experimental projects. ACRE was founded in 2010 in effort to provide the arts community with an affordable, cooperative, and dialogue-oriented residency program. 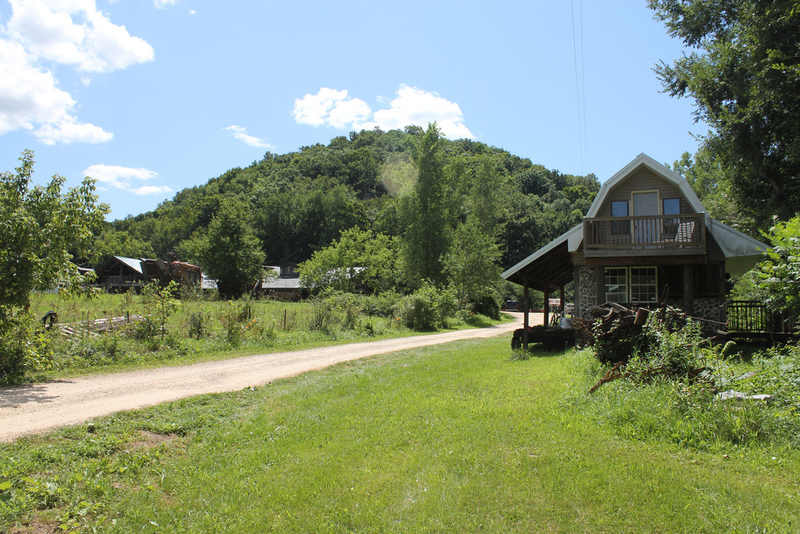 ACRE’s residency takes place every Summer in rural Southwest Wisconsin. The property, set on 1000 acres of wetland, hills, and farmland, is home to such wildlife as deer, bald eagle, heron, hawk, and rainbow trout, and is strewn with a vast network of rivers and springs. Residency tuition can be split up into two or more payments to help residents afford their stays. Rates are subject to change due to changes in residency expenses such as farm rent, food costs, etc. ACRE is excited to be able to offer a limited number of scholarships this year. Full and half-tuition scholarships will be announced as scholarship-specific fundraising is enacted and as business and private sponsors solidify their support. Along with scholarships, a limited amount of work study positions are available for each session. Applicants with the highest scores who requested work study will be offered a 50% discount on their stay in exchange for help with chores such as food preparation, cleaning, and trash duty, not to exceed 10 hours of work a week. Accommodations: Accommodations are all recently built from salvaged timbers and furnished with individual bathrooms, kitchenettes, and decks. All meals are provided, and are prepared daily using ingredients grown in the surrounding area, which is renowned for its organic and sustainable agriculture and dairy farms. Benefits: The residency facilities include numerous buildings which provide for expansive communal work spaces, a screen-printing studio, an outdoor wood shop, an art and tech facility, and access to both digital and analog recording equipment. Visiting artists are invited to conduct studio visits and present lectures, discussions, and workshops. Visiting bands & performers come through on the weekends to play concerts & interact with the residency community. Each resident is offered an exhibition opportunity in Chicago. These include solo shows, two-person shows, and curated group shows. These shows are held at ACRE’s gallery space in the Pilsen neighborhood of Chicago or at one of ACRE’s partner galleries. CRE’s partner galleries, all respected Chicago alternative spaces, invite dozens of residents each year to show with them. The list of partner galleries grows and changes each year. In the past they have included such spaces as Roxaboxen, New Capital, Co- Prosperity Sphere, Roots + Culture, Heaven Gallery, Johalla Projects, Plaines Project, ADDS DONNA, and LVL3. Partner galleries choose artists they would like to work with from their ACRE applications and determine the date and length of the show as well as whether it will be a solo or group show. Once the partner galleries have chosen the artists they want to work with, they will communicate directly with the artist in regards to planning the show. ACRE handles the show’s publicity, and the residents handle the install. In addition to exhibitions in Chicago, residents have the opportunity to join ACRE at various art fairs and receive webspace. In the past ACRE has participated in the NEXT and MDW fairs in Chicago and is planning to attend fairs outside of Chicago in the coming years. Residents will get user-friendly web space to upload work samples, information, writing or other work onto ACRE’s online flatfile. This is a space that ACRE uses to direct curators and critics to, and one that the artists can use either experimentally or as a website proper. ACRE is constantly working with other institutions and organizations to create opportunities for our artists. Posted in ACRE (Arists Cooperative Residency & Exhibitions), WisconsinTagged ACRE, ACRE (Arists Cooperative Residency & Exhibitions), American, Art, art library, art residency, Artist, Artist Residency, arts, Bands, Cabins, Chicago, Collaborative, Communal, Contemporary Art, Cooperative Living, Emerging artists, Exhibition, Exhibition Opportunity, Fellowship, Film, Illinois, Installation, International, Mid-Career Artists, Music, Musicians, Painting, Partial Stipend, performance art, Photography, Print Shop, Printmaking, Printmaking Studio, Rate My Artist Residency, Scholarship, Sculpture, Social Practice, Stipend, Studio, Summer residency, Sustainable Living, Top 10 Artist Residency, United States, video art, Wisconsin, workspace, WritersBookmark the permalink. You can’t get out there without a car. True, but the organizers are quite proactive in finding rides for everyone in need. ACRE isn’t what you expect, it’s better. Funky, DIY, raw, new, fresh, energetic, loose, fun, and engaging. A great group of staff, visiting artists, and fellow residents who are supportive, helpful, and know how to throw a good party.